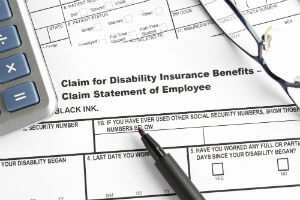 Personal Injury Lawyer Tulsa: How Do I Appeal My Denied Social Security Disability Claim? Claims for Social Security Disability Insurance (SSDI) and Supplemental Security Income (SSI) are, unfortunately, often denied. However, claimants have the right to appeal the Social Security Administration’s (SSA) decision to deny their claim. At the Edwards Law Firm, our Tulsa Social Security Disability attorneys have handled many disputes with the SSA and are familiar with the process to appeal a denied Social Security Disability benefits claim. We have provided this guide to help you understand the SSA’s appeals process and how our attorneys may be able to help you receive the benefits you deserve. Our attorneys are ready to discuss your claim during a free, no-obligation consultation to determine your options. When Can I Appeal My Denied Claim? If you have been denied Social Security Disability benefits for medical or non-medical reasons, you can request to appeal the decision. The SSA requires that you submit your appeal request within 60 days of receiving notice that your claim has been denied. To begin the process of appealing your denied Social Security Disability claim, you must complete a Request for Reconsideration (Form SSA-561) and submit it to your local Social Security office. You can also file an appeal online and provide documents electronically to support your claim. However, you must also submit all supporting documents, including any medical reports, forms or written statements related to your disability. During the reconsideration phase, your claim will be fully reviewed by someone who was not involved in the original decision to deny your claim. The SSA will review the evidence that you provided with your original claim, as well as any new evidence you may have submitted. Most reconsiderations do not require that you be present when your files are reviewed. However, if you are appealing a decision to deny your benefits because the SSA believes your disability has improved and you are no longer eligible for Social Security Disability benefits, you can meet with a Social Security representative to explain why you believe you are still disabled. If you disagree with the reconsideration decision, you can request a hearing before an Administrative Law Judge who did not participate in the original decision to deny your claim or during the SSA’s reconsideration. Before the hearing, the SSA may request that you provide more evidence and clarify information regarding your claim. However, you are allowed to look at any information that has been added to your file and provide any relevant new information. During the hearing, the Administrative Law Judge will question you and any witnesses you bring to testify on your behalf. You can also bring expert witnesses, such as medical or vocational experts, to provide detailed information about your disability. These witnesses can also be questioned by you or your attorney. Typically, hearings take place within 75 miles of your home and the Administrative Law Judge assigned to your case will notify you of the hearing’s time and location. The SSA may also request to conduct a video hearing instead of a physical hearing that may be more convenient if your disability limits your mobility. However, if you are unable to attend the hearing, you must notify the SSA and provide a written explanation of your reason as soon as possible. If the Administrative Law Judge decides that your presence is not necessary to decide your case, you will not be required to attend the hearing. Depending on your reason for not attending, the SSA may change the time and date of your hearing. If you disagree with the decision made at the hearing, you can request a review by the Social Security’s Appeals Council. Although the Appeals Council will consider all requests for a review, it may deny your request if it believes the decision made during the hearing was correct. If this occurs, you will be sent a letter that explains why your claim was denied. If the Appeals Council decides to review your case, it will reach a decision about your claim itself or return your case to an Administrative Law Judge for further review. The Appeals Council will send a copy of any decision it makes, or you will receive a copy of the order noting that your case was returned to an Administrative Law Judge. If the SSA’s Appeals Council denies to review your claim or you disagree with its decision, you have the right to file a lawsuit in a federal court. The instructions on how to file a federal lawsuit against the SSA will be included in the letter sent by the Appeals Council informing you of its decision. Our attorneys will work with the SSA to help your case get approved so you can receive the benefits you deserve. However, if you do not receive fair compensation for your disability, we will not hesitate to explore the possibility of filing a federal lawsuit. At the Edwards Law Firm, we understand the role that Social Security Disability benefits play in the lives of disabled individuals. Our attorneys have a strong understanding of the requirements needed to appeal the SSA’s decision and will provide you with a free, no-obligation consultation to review your claim and determine if you have a valid case. Learn more about our other practice areas here. We accept cases on a contingency fee basis, which means we only get paid if we recover the benefits you deserve. Contact us today to get started.